Dialogue is a tool to encourage communication between comunities. This is especially needed now as we experience and increasingly divided nation and international tragic events based on a lack of understanding. 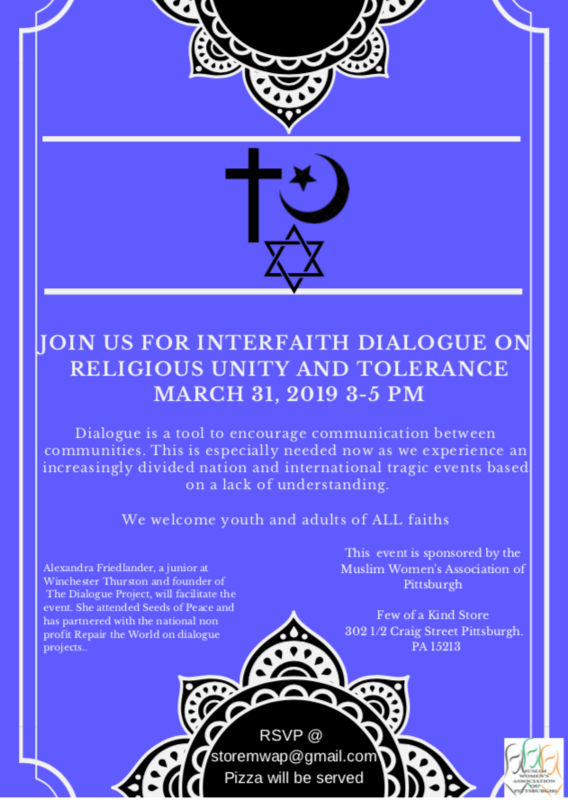 We welcome youth and adults of All faiths.